We last caught up with the General Fiasco boys not so long ago back in February [you can check out the interview at the bottom of the review]. 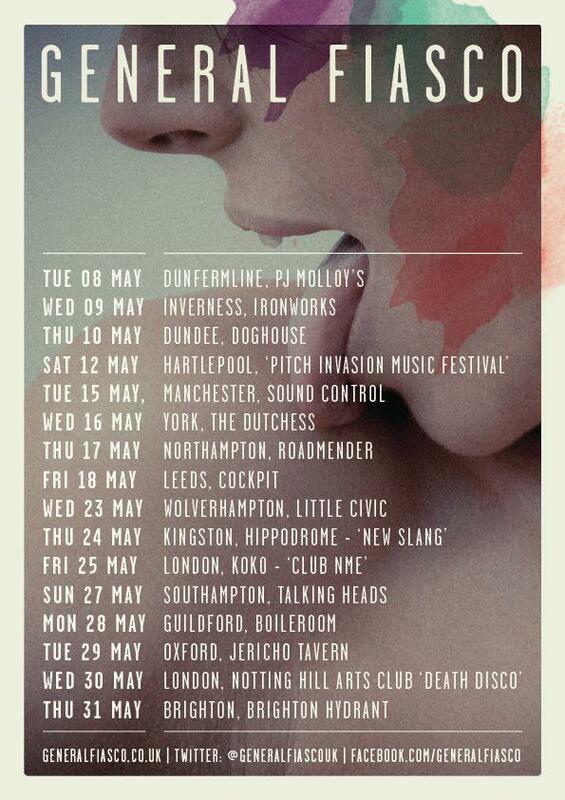 Since then they’ve completed a UK tour, released their E.P “Don’t You Ever” and are back out on the road yet again. We headed down to Leeds Cockpit to check out the hard working Irish rockers. Instead of going straight in to release the follow up to their acclaimed album, “Buildings”, General Fiasco have been working hard switching up their sound, and developing as a band. 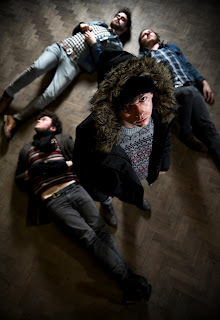 They have instead released a number of E.Ps; the most recent of which, “Don’t You Ever”, came out at the beginning of March and on it the band incorporate a range of general Fiasco favourites covering their entire musical career. General Fiasco have built up a solid fanbase and the show tonight at The Cockpit draws a plethora of fans; the more mature and reserved appreciate the music from behind the young and feisty supporters who pack the front of the stage. Opening with “Waves”, lead track on the most recent E.P, the upbeat poppy discordant verses are met with smooth flowing choruses. The perfect blend of vibrant melodies and gritty lyrics is refreshing and infectious and the crowd agree. With follow up album “Unfaithfully Yours” released in June, General Fiasco take the opportunity tonight to showcase a number of the new album tracks which equally captivate the audience. The stripped back verses of “Hollows” leads the way to a catchy chorus exemplifying a new maturity to the band. The anthemic “Please Take Your Time” and General Fiasco classic “Rebel Get By” is played alongside album track “Sleep”. With its catchy and quirky up-beat sound “Sleep” is so obviously a General Fiasco song, yet the band’s sound has developed and oozes effortless charm. The deafening screams and cheers from The Cockpit crowd only confirm this. General Fiasco’s set builds in pace and by the time the band break into crowd favourite “Every So Shy” the animated crowd are on each other’s shoulders and vigorously singing every line right back at lead singer Owen Strathern. And, of course, a General Fiasco show wouldn’t be complete without an acoustic version of “Sinking Ships”. Tonight the band are tighter than ever and bring a thunderous vigour to their live show. General Fiasco have always kept to their roots; their Irish accents shine through and the band prove they’re capable of writing indie rock hits that have a bite and rawness to them. The show tonight is forceful, dynamic and captivating. Having had a taster of the new album, we can’t wait to hear what the rest of “Unfaithfully Yours” has in store. To watch what happened when we interviewed the boys back in February see below.